Grab a blanket and enjoy some of the best poets the South has to offer. 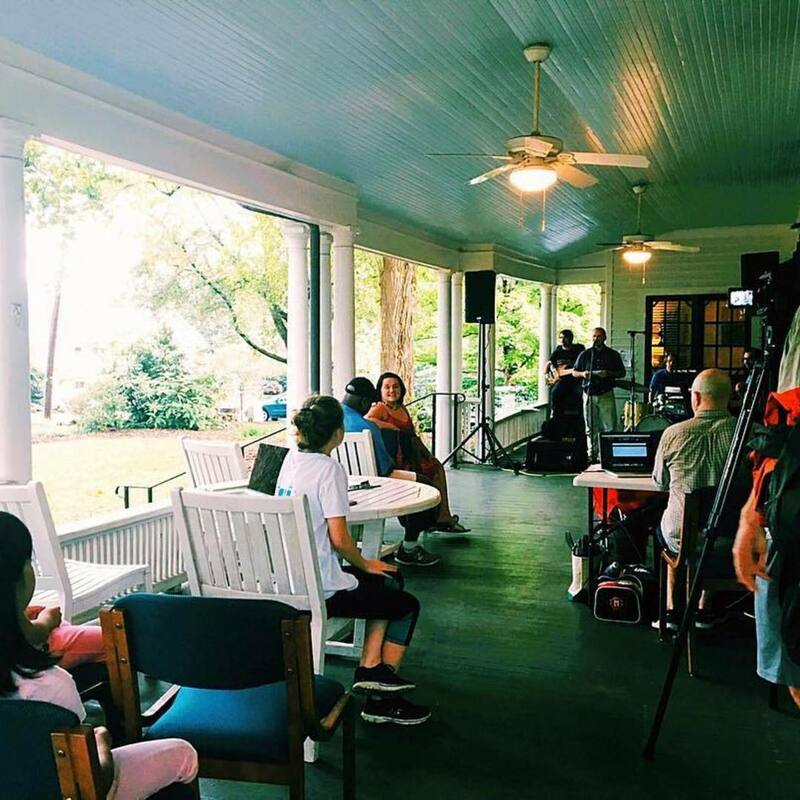 "Join us for Poetry on the Porch with Tiana Clark and Emilia Phillips, two recently featured poets. We'll also celebrate the launch of our new poetry chapbook, Bounty Everlasting, which includes work by Clark and Phillips. Tiana Clark is the author of I Can’t Talk About the Trees Without the Blood (University of Pittsburgh Press, 2018) and Equilibrium (Bull City Press, 2016). Her writing has appeared in or is forthcoming from the New Yorker, Kenyon Review, American Poetry Review, New England Review, and elsewhere. Emilia Phillips is the author of three poetry collections from the University of Akron Press, most recently Empty Clip (forthcoming 2018) and Groundspeed (2016). Her poems and lyric essays appear widely in literary publications, including Agni, Boston Review, Ploughshares, Poetry, and elsewhere. She is an assistant professor in the MFA Writing Program and the Department of English at the University of North Carolina at Greensboro."